A guide to using the facilities and resources available in the Library of the Queen's College, Oxford. 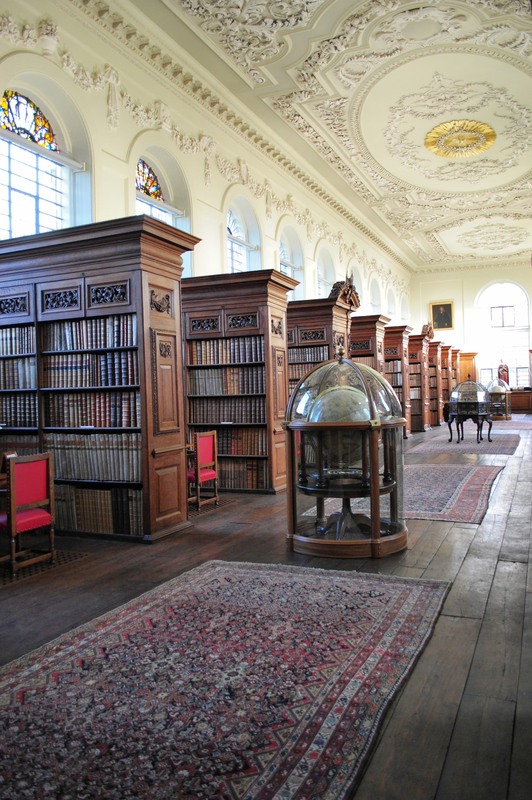 The Queen’s College Library is one of the largest college libraries in Oxford, with approximately 50,000 volumes in the lending collection and a vast antiquarian collection of nearly 100,000 volumes. We aim to stock all the core texts required for undergraduate courses, in multiple copies if necessary, and students are always welcome to make suggestions for purchases. This guide aims to provide all the information you need to make effective use of the Library. Library staff are always happy to help with any enquiries you might have. Current students can access the New Library and Lower Library with their card 24 hours a day, except during closed periods, but the Upper Library is only open during staffed hours. The Upper Library may also sometimes be closed for events - look out for notices and emails advising you of this. Please note that full access to the Library is restricted to current members. 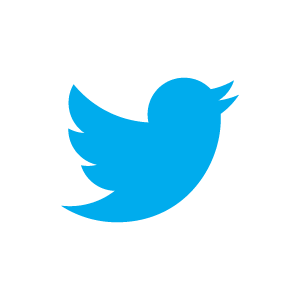 It may not be used by members of other colleges except by arrangement with the Librarian. Do not allow strangers to follow you into the Library. Access to the Library is via your University card – hold your card to the proximity reader by whichever entrance you are using and it should open automatically. If you are unable to access the Library with your card for any reason, please use the intercom at the main entrance during staffed hours and a member of staff will help you. The Queen’s College Library is an inclusive environment with access for all. Students with disabilities should contact the Academic Administrator in the first instance who is the Disability Co-Ordinator for Queen’s so they can discuss their needs prior to starting their course. Library specific support is available on an anticipatory basis but students with disabilities are encouraged to be pro-active and contact the Library. The Reader Services Librarian is the disability contact within the Library but other members of the Library team will also be able to help. Students with disabilities might also be contacted directly to ensure they are receiving appropriate support and are aware of what the Library can offer. The Library offers photocopying, printing and binding services. Please ask at the enquiry desk for details. Postcards, fridge magnets, booklets highlighting some of the Library's treasures, and our annual publication Insight can also be purchased at the enquiry desk. Search Oxford Libraries Online - search the catalogue for books, journals and electronic resources. The main Library website giving general information about the Library, including history, special collections, exhibitions, and our annual publication Insight. 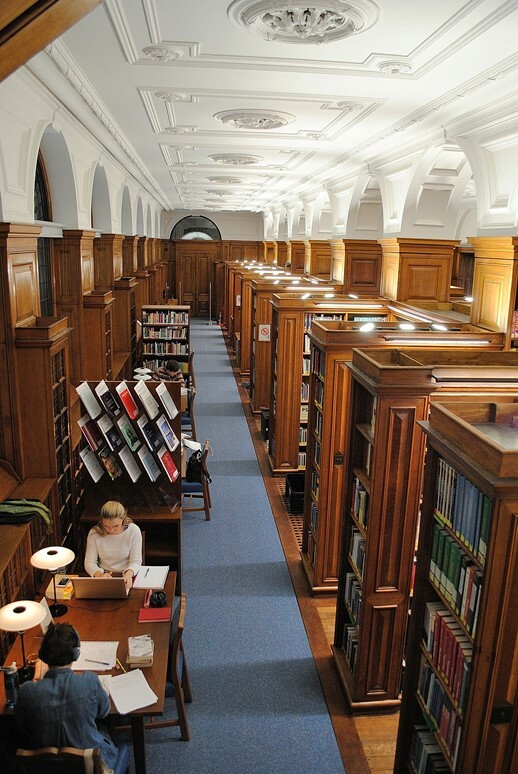 Current members may show guests the Upper Library between 12 noon and 12:45 pm on Saturdays during term. At all other times guests will only be admitted to view the Library with the prior permission of a member of Library staff. However, visits during Trinity Term should be restricted to the Saturday slot only. Always report to the enquiry desk on arrival with your guest(s).